Explore curated genetic profiles showing your predisposition for high LDL cholesterol, low HDL cholesterol, high triglycerides, and caffeine and salt’s possible impact on your blood pressure. You’ll have an in-depth phone consultation with an Arivale Registered Dietitian, plus 30 days of chat support with our team of dietitians. Could caffeine and salt be impacting your blood pressure? Ask your genetics. Arivale curates genetic profiles using thousands of variants to gain a more comprehensive understanding of what strategies will work best for your body. What are the most impactful changes you can make today? You’ll receive personalized recommendations outlining strategies to optimize your heart health. Armed with your genetic data, work with a Registered Dietitian to outline heart-health strategies personalized to you. The first step on a complete wellness journey that includes your blood and lifestyle. Includes a DNA kit for first-time users. No need for another DNA kit. 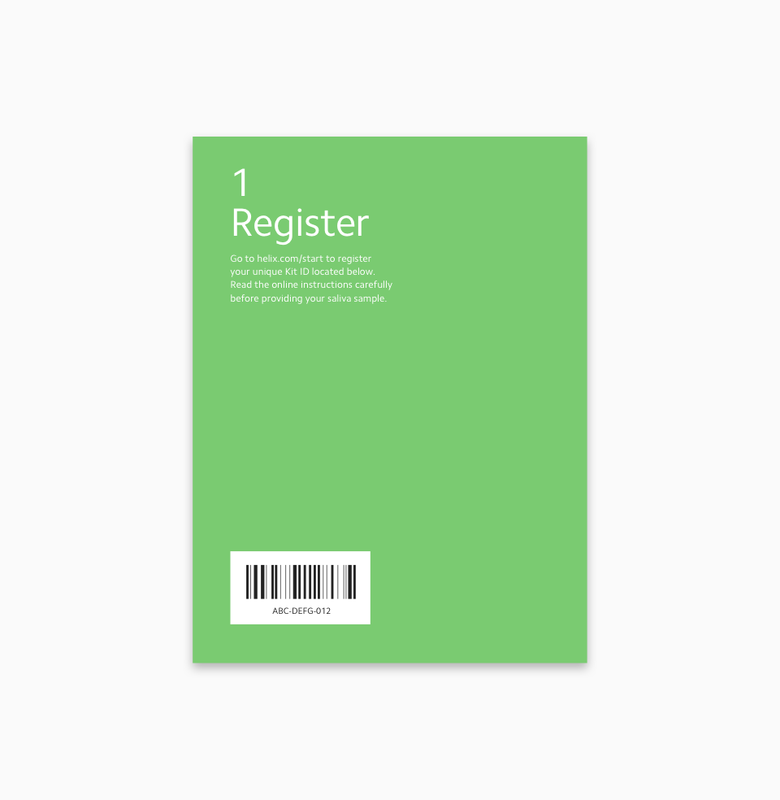 Sign in​ to get started. You’ll have an in-depth phone consultation with an Arivale Registered Dietitian. 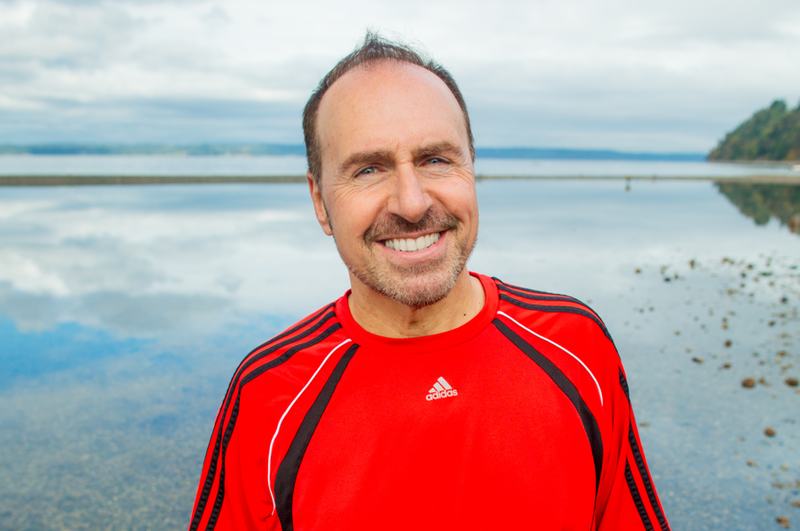 Receive actionable next steps and advice based on your personal genetic predispositions. Receive personalized recommendations outlining strategies to optimize your heart health. Arivale Research Scientists curate genetic profiles to understand what strategies will work best for you. LDL is often called the “bad” kind of cholesterol. High levels of it can be very damaging to the cardiovascular system. This profile uses 809 genetic variants associated with LDL cholesterol. Not all cholesterol is bad. HDL cholesterol is important for keeping your LDL (bad) cholesterol in check, and low HDL is a risk factor for heart disease. This polygenic profile uses 883 genetic variants associated with HDL cholesterol. Triglycerides are the most common type of fat found in the blood, and they serve as a source of energy. Having high triglycerides is a risk factor for heart disease. It can also have negative effects on the liver. This polygenic profile uses 769 genetic variants associated with triglycerides. The CYP1A2 gene helps make an enzyme that metabolizes more than 95 percent of the caffeine you consume. Your genotype here can give you clues on how caffeine could impact your blood pressure. A high salt diet can be a risk factor for high blood pressure, and for some people, this risk is increased even more by genetics. This test evaluates variants in AGT gene, which helps control blood pressure by regulating the balance of fluids and salts in the body. At Arivale, we believe genes aren’t your destiny. They show your potential. That’s why we combine your DNA insights with 40+ blood markers and lifestyle analysis, including sleep and stress. With this product, gain an in-depth understanding of genetics that could impact your predisposition for high LDL (bad) cholesterol, low HDL (good) cholesterol, and high triglycerides. Guided by genetic insights and the personalized advice from an Arivale Registered Dietitian, you can take actionable steps towards bettering your heart health. Genetics play a small part in a big picture, but knowing how your body may be programmed to process some foods can give you a leg up as you pursue a healthy lifestyle. Blood lipids, e.g. cholesterol and triglycerides, are a natural and important part of our body, but can cause problems if present in excess. The amount of these lipids in your blood is a combination of what your body makes and what you absorb from your diet. DNA influences both of these, but your dietary choices and lifestyle factors, like stress, drive most of the final outcome. There are some rare conditions that result in high cholesterol and/or triglycerides, regardless of diet, but this product does not test for those. Some diet decisions, like eating lots of meats and cheeses, may increase your blood lipids, and this might impact your heart health. A blood test is the best way to measure your blood lipids, and your doctor or a cardiologist can help you understand any health impacts from those results. Otherwise, DNA insights from this product can help you understand the whole picture and hopefully encourage you to make healthy diet decisions for your heart. DNA is just the start. Diet and lifestyle choices have a larger impact on your heart health, or in some cases, rare conditions not included in this product. This product will not provide any medical information or a diagnosis. Genetic results are based on population-wide studies. What is true at a population level average may not be true at an individual level. Our understanding of how genetics influences blood pressure and lipid levels will improve with more research. Individuals should consult a physician or healthcare professional before making dietary changes or beginning supplementation. Get access to the best and latest in DNA discovery. It takes just 3 simple steps. 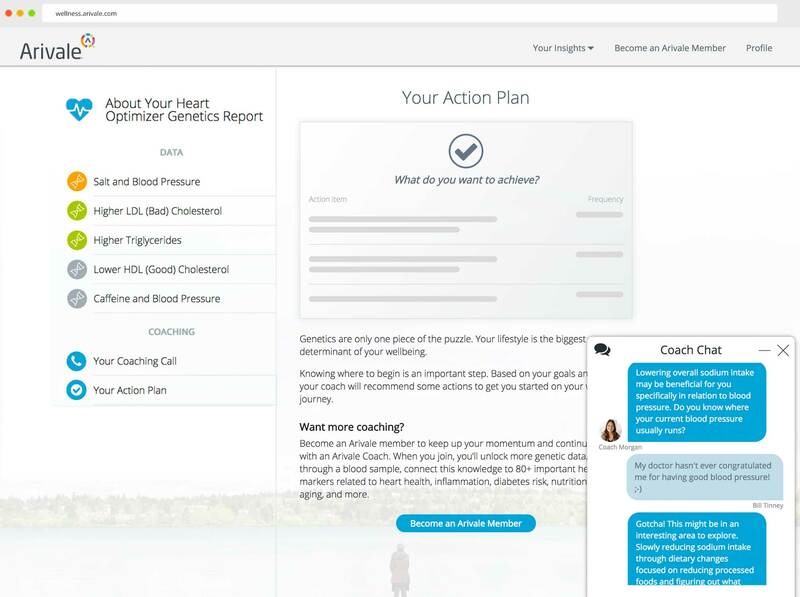 Order Heart Optimizer: Genetics and Nutrition Coaching and Helix sends you a DNA collection kit, which includes everything you need to get sequenced. 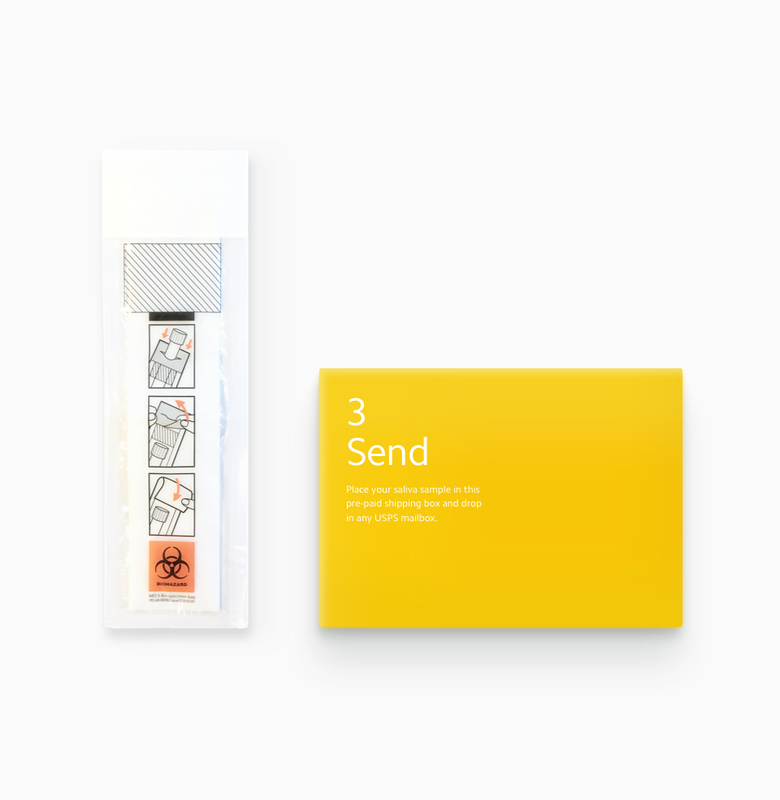 Register your DNA kit, provide a small saliva sample, and drop it in the mail using the provided pre-paid shipping box you get in your kit. 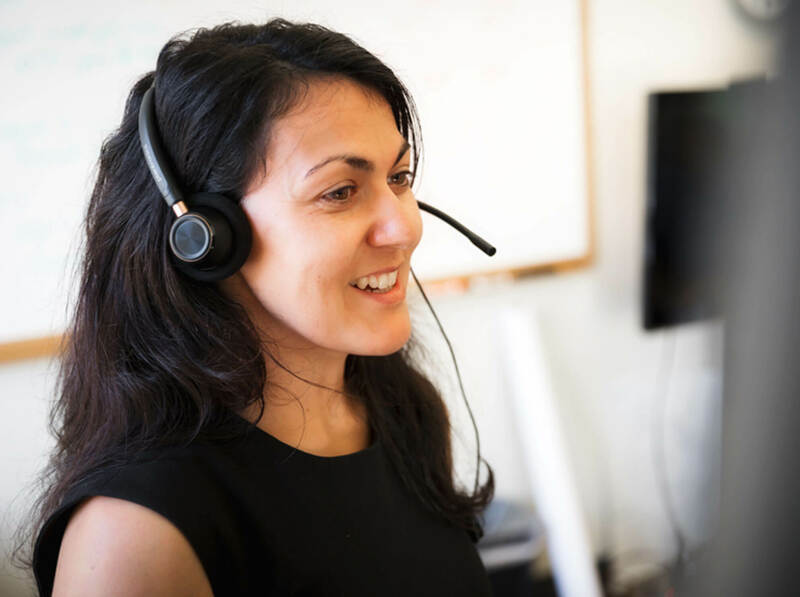 Receive insights in your Arivale Dashboard, then have a call with an Arivale Registered Dietitian who will help you incorporate these insights into your daily life. To capture the information stored in your DNA so it can be used for this product, we need to collect a small, one-time saliva sample from you. This kit has everything you need to provide that sample from the comfort of your own home, and you’ll never have to provide another. 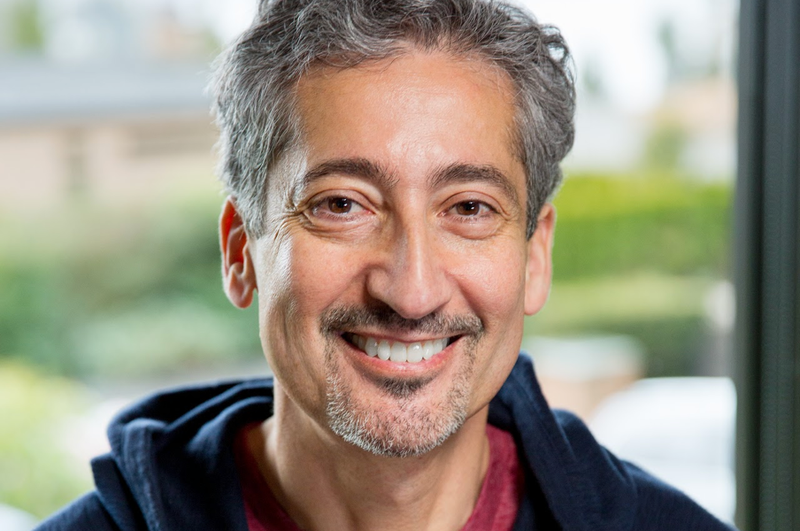 Arivale is a scientific wellness company that leverages cutting-edge research, personalized data and tailored coaching supported by a clinical team to help individuals optimize their wellness and avoid disease. 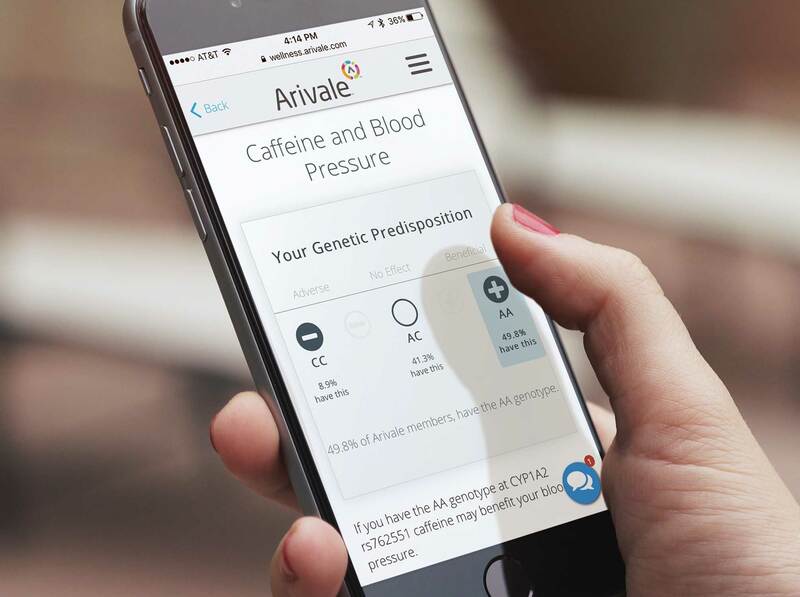 Arivale provides a scientific wellness program based on personalized, unique genetic data, external independent clinical labs and individual’s lifestyle. Launched in 2015, Arivale is backed by leading scientists and investors with a strong track record in health, wellness, biotech breakthroughs. Have a question about Arivale? Helix empowers everyone to explore what makes them unique—their DNA. 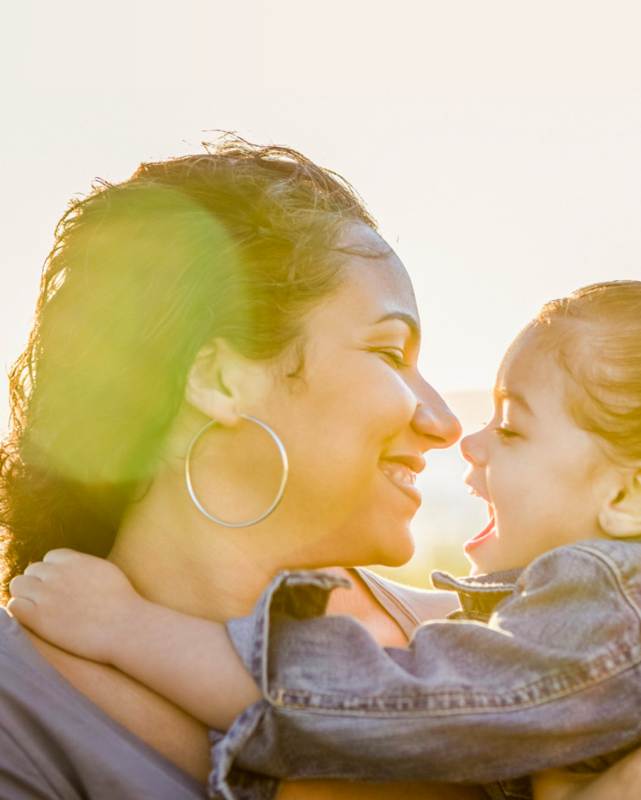 From health and wellness insights to family planning and ancestry information, Helix’s growing list of partners can tap into your genetic profile to provide relevant insights for today, tomorrow and years to come. Why do I need the Helix DNA kit? Products on Helix use the DNA information found in your saliva to give you insights into what makes you, you. 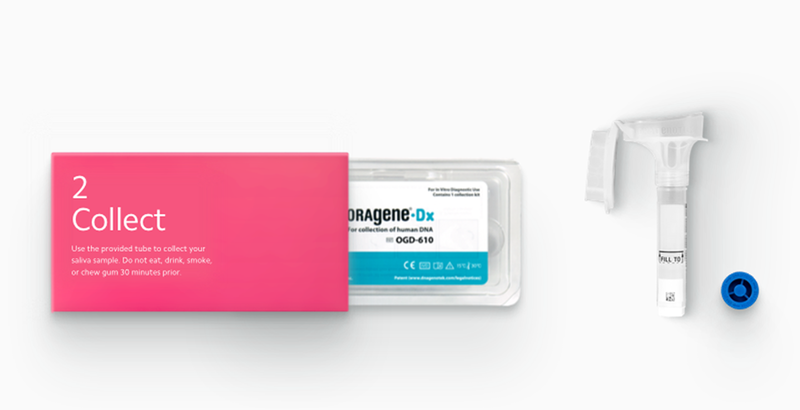 The Helix DNA kit has everything you need to provide a saliva sample and send it to our lab to we can sequence your DNA. Once you are sequenced, you can gain insights from any from any product on Helix for years to com – all without having to provide another saliva sample ever again. What can a coach do? An Arivale Registered Dietitian will walk you through your data and give personalized recommendations on changes you can make to reach your heart health goals. In addition to your call, you can check in with our coaches as often as you want for 30 days after your data is published. Do I have to get sequenced to use this product? Yes. In order to use Arivale Heart Optimizer you need to be sequenced by Helix. To ensure the quality and accuracy of the genetic information used for this service, products in the Helix marketplace do not accept genetic data from outside sources. And, once you’ve been sequenced by Helix, you can purchase more DNA-powered products from a variety of categories like fitness, nutrition, entertainment, and more—all without having to get sequenced again. How long can I contact the coaches? You’ll schedule one call with an Arivale Registered Dietitian. You’ll also have unlimited text for 30 days after your data is published through your dashboard. What are the certifications of the coaches? All of our coaches are Registered Dietitian Nutritionists or Certified Nutritionists. How does Helix provide my DNA information to Arivale? Is it shared with anyone else? Your DNA information is stored securely by Helix. When sequencing is complete, Helix only sends the relevant DNA information needed by Arivale to generate your results. We do not share your DNA information with anyone without your permission. We always maintain high standards when it comes to the security and privacy of your DNA information. How do I learn more about how Arivale uses my data? After you purchase Arivale Heart Optimizer, you’ll set up an Arivale Dashboard. Arivale will email you when your results are published to your dashboard.